I saw this on my friend Martha Stewart’s Pinterest page recently and knew we’d want to make it soon. We used instant polenta instead of that part of Martha’s recipe (don’t tell her!) and it came out great. The roasted tomatoes were just delicious, I would recommend to make those for a side dish with any meal! Preheat oven to 400 degrees. In a large saucepan, set 4 cups water to boil. 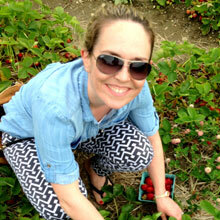 On a large rimmed baking sheet, toss tomatoes with scallion whites and 1 tablespoon oil; season with salt and pepper. Roast until tomatoes are tender and some skins have split, 12 to 15 minutes; toss with scallion greens. Meanwhile, add 1 teaspoon salt to boiling water; gradually whisk in cornmeal. Simmer very gently over low heat, whisking occasionally, until polenta is thickened and cooked through, about 10 minutes. Whisk in butter and Parmesan, and keep warm over very low heat (whisk in some water just before serving if polenta becomes too thick). Note, again – we used instant polenta but added a little butter and the Parm. Heat remaining tablespoon oil in a large skillet over high. Season steak with salt and pepper; add to skillet. Cook, turning once, 6 to 8 minutes total for medium-rare. Transfer to a plate, cover loosely with aluminum foil, and let rest, 5 to 10 minutes (reserve skillet). Add vinegar to skillet, and boil over high until reduced to 1/2 cup, 5 to 7 minutes; stir in any juices from resting steak. 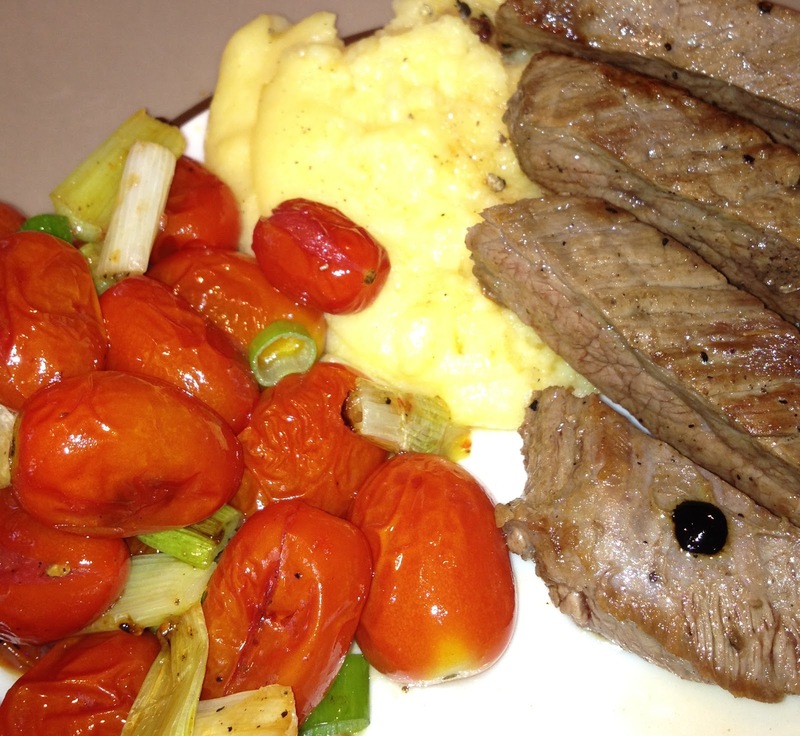 Slice steak, and serve with vinegar sauce, polenta, and tomatoes. Put the cranberries and orange juice in a small saucepan, and bring just to a simmer over medium heat. Remove berries from the heat, and set aside to cool and plump. Drain off any excess liquid and set aside. 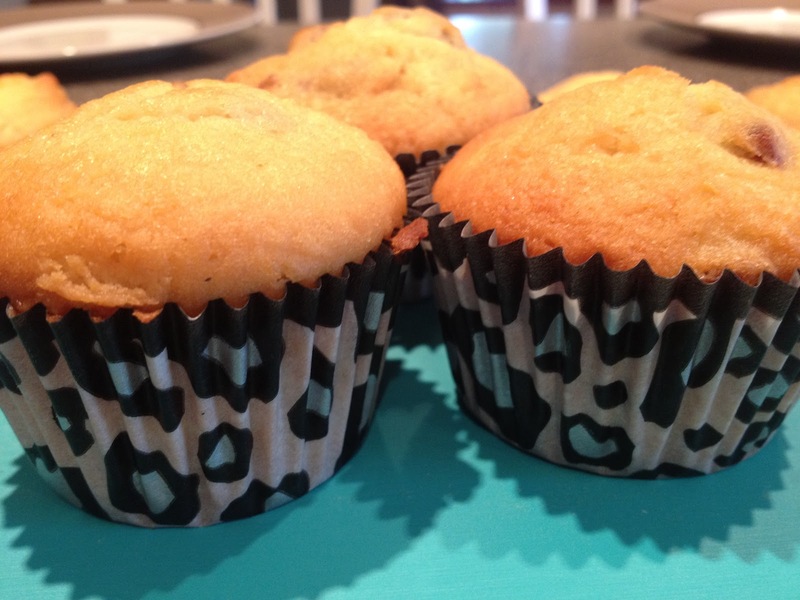 Lightly brush a 12-muffin tin with butter (we used animal print muffin tin liners instead). Sift the flour, baking powder, and salt into a medium bowl and set aside. Happy Memorial Day – Happy Start of Summer! Unfortunately the weather is a little iffy here, but I am still sporting some of my summer faves today to kick off the summer – my white Jack Rogers, my Milly lacy top (similar to this, purchased at my favorite second hand store!) and a bright red/coral nail polish. Have a great week! I am so excited for a long weekend! What are you up to this Memorial Day? Can’t wait for this movie to come out this summer, although I feel like I should re-read the book before I see the movie. Speaking of summer, I LOVE this Mediterranean Chic line from Janie and Jack, I hope it goes on sale soon. 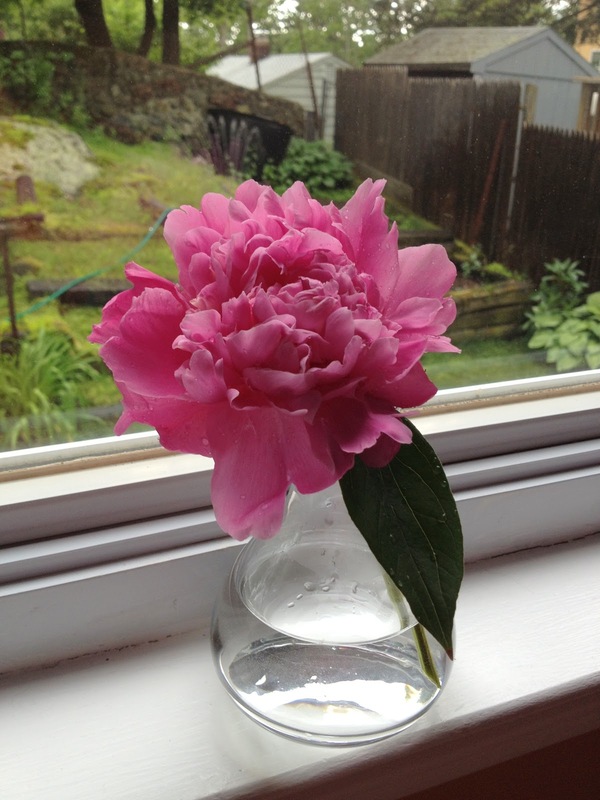 Our first blooming peony from our backyard! You can buy a kit online that comes with 12 4 x 4 sheets for $4.95, not bad! 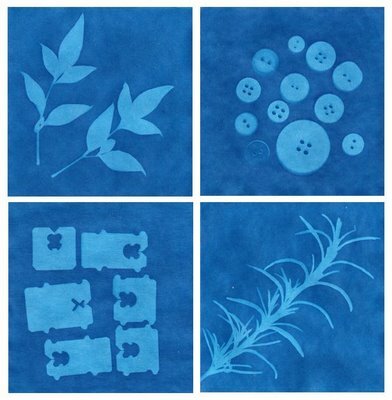 I am definitely making some Sunprints this summer to frame and hand on our walls at home. PS. Happy Birthday to my MOM! 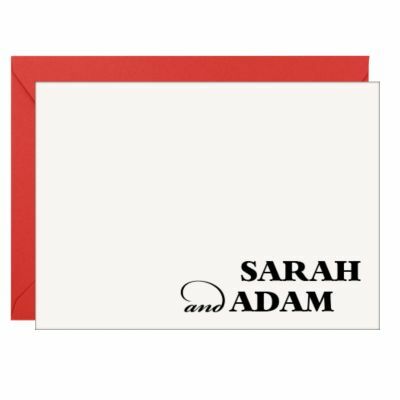 Do you have personalized stationary? Then roll! 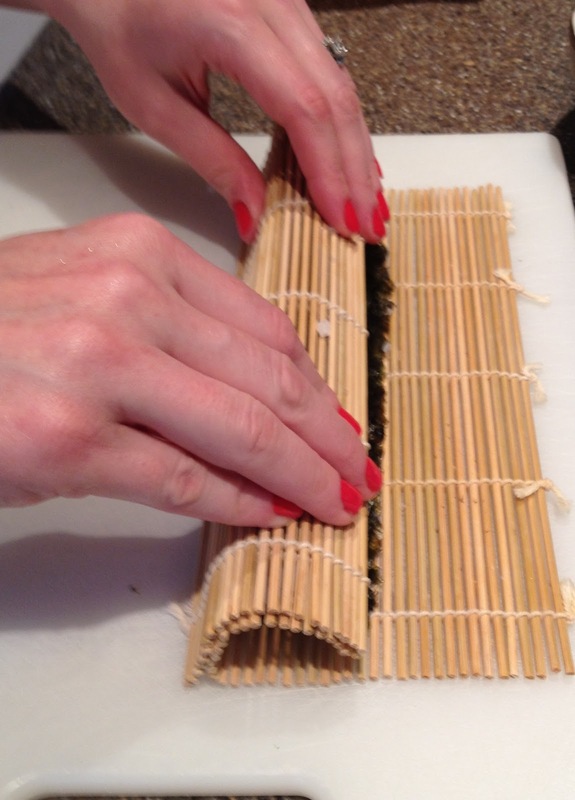 When you’re all rolled up, squeeze your finished roll a bit to make sure everything is set in place. 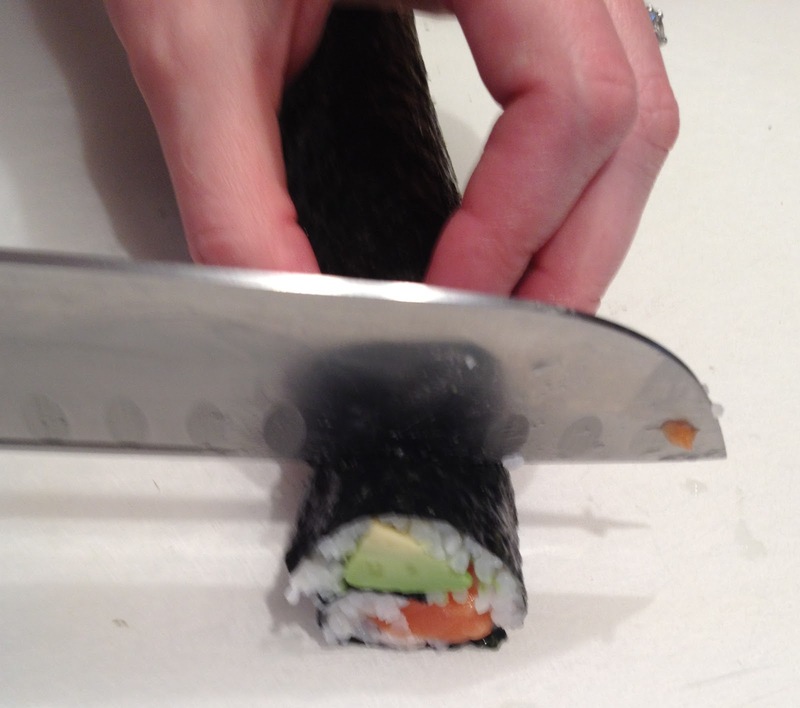 Dip your knife into the same water/rice vinegar combo and cut into pieces. 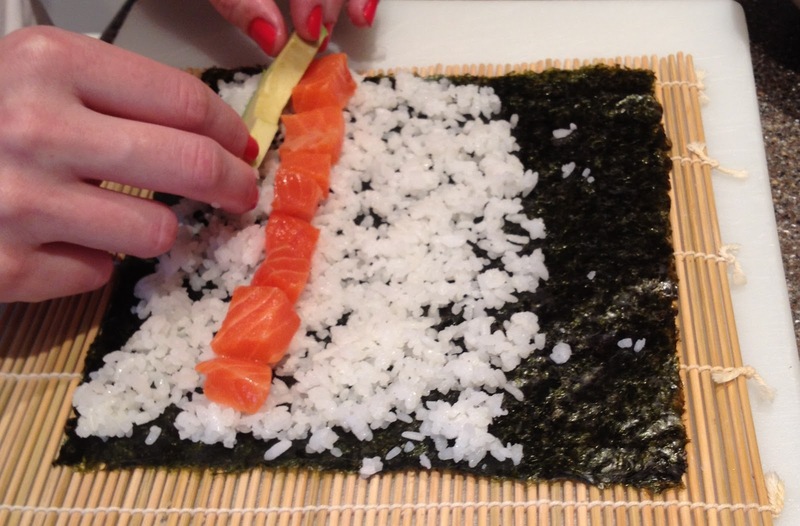 – We like this book for real instructions on how to cook the sushi rice, a good rolling technique and more. 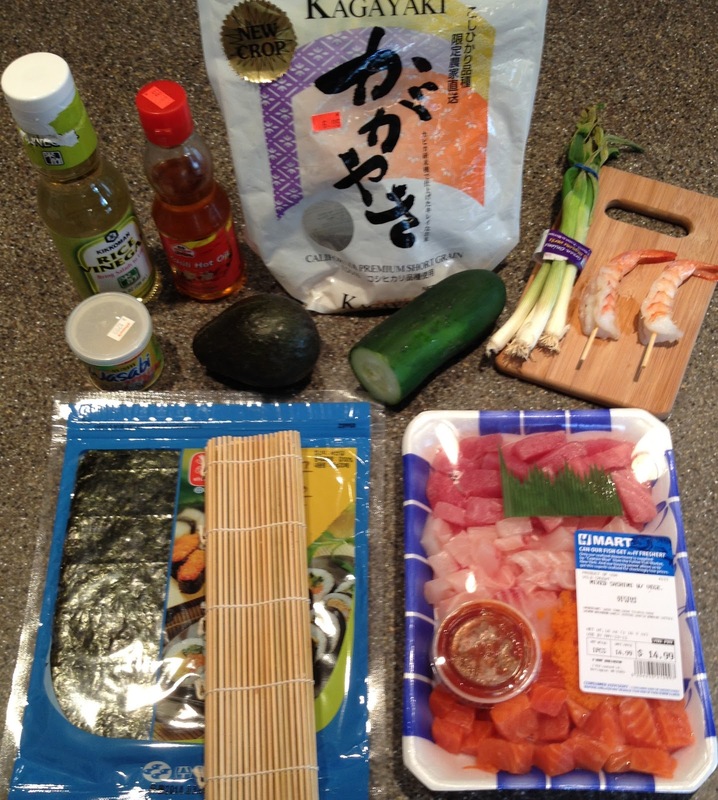 – Definitely visit an Asian market for your fish. 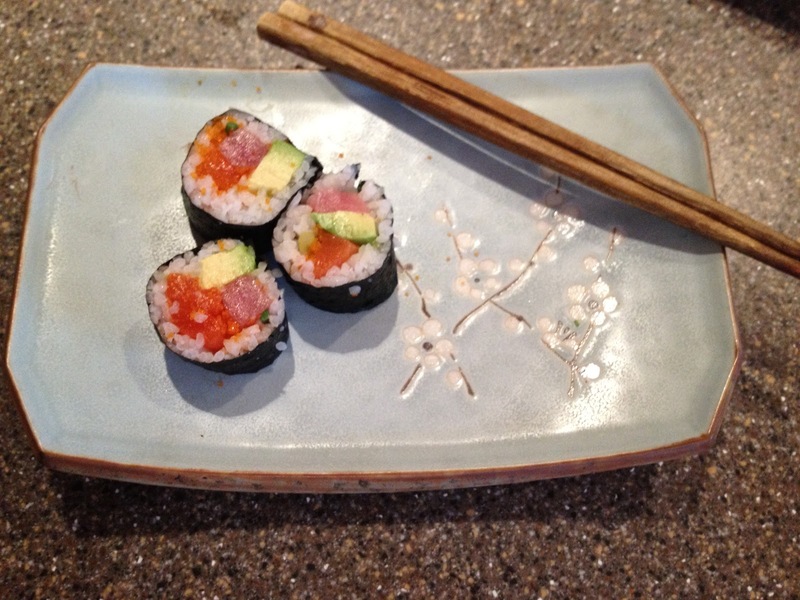 You don’t want American grocery store salmon for your sushi rolls, you need sushi grade, of course. 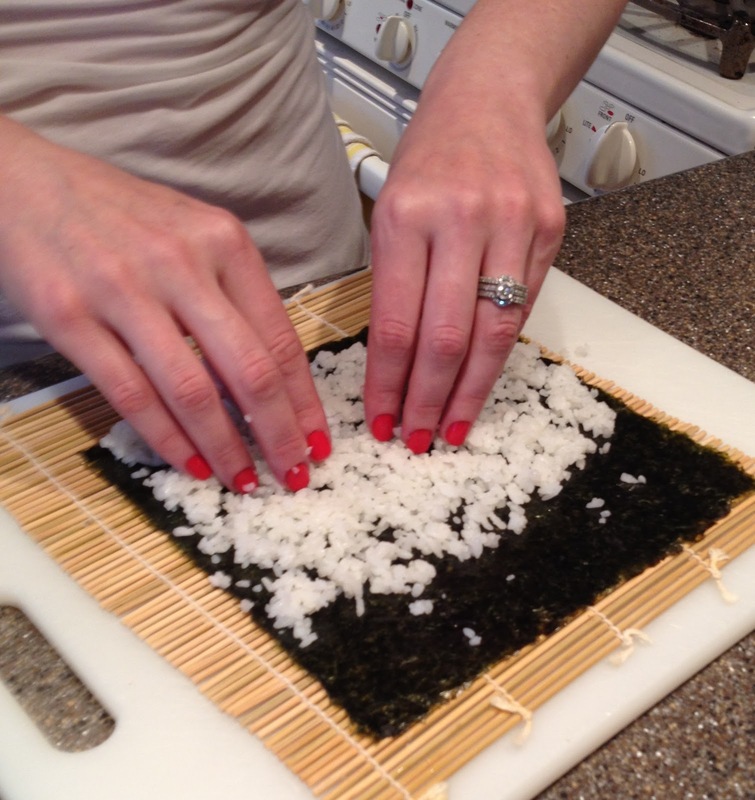 – If you use shrimp, take raw shrimp and place a skewer through the middle before you cook, then your shrimp will be long instead of curled over. – Rolling gets easier with practice as you go …and with a second glass of wine.